The Stanford University campus. Photo: Stanford. 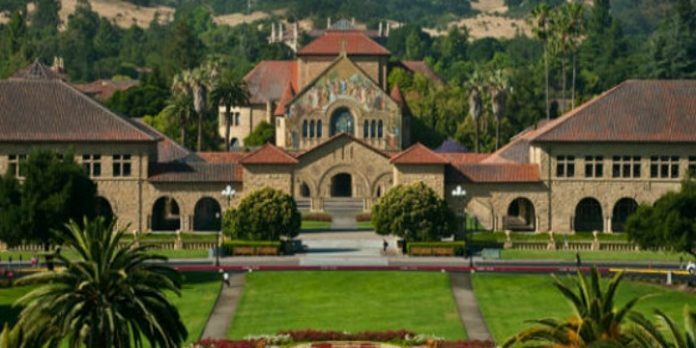 A student at Stanford University who had threatened to assault Zionist peers has stepped down from his job as a resident assistant. “I apologize from the bottom of my heart to everyone who was triggered by it,” wrote Daoud, who identifies as a “third-generation Palestinian refugee” and said he received “graphic death threats and messages filled with Islamophobia and xenophobia” after his initial comments were publicized. “Following standard university procedure in cases of possible threat, the university has conducted an extensive case assessment, and concluded that the student does not pose a physical threat to other members of the community,” the school said. “We will be meeting with students on all sides of the issue to hear ideas for additional steps that can be taken to assure their feeling of safety and comfort in our community,” the school said. Daoud’s resignation was applauded by the American Jewish Committee, which praised Stanford administrators for “acting quickly” to condemned “harmful” remarks that “many Jews on campus took as directed against them.” The group also expressed appreciation for Daoud’s recognition that his remarks barred him serving in a university-appointed leadership role. Daoud’s initial remarks drew strident criticism from members of Stanford’s Jewish and Zionist community, including Hillel and the Stanford Israel Association, as well as the World Jewish Congress, the Conference of Presidents of Major American Jewish Organizations, and the Lawfare Project legal nonprofit. An attorney representing an unnamed “Jewish and Zionist undergraduate” at the school warned the last week that continuing to employ Daoud would be a mark of illegal discrimination against Jewish students. Yet some members of the Stanford community have also come to Daoud’s defense, and criticized the launch of paid Facebook advertisements calling for Daoud to be dismissed from his RA position. The anti-Zionist group Jewish Voice for Peace launched an “urgent” campaign late last month calling for supporters to email several administrators on his behalf. It shared “possible talking points” that should be amplified, including that Daoud’s displayed “incredible restraint and growth” by independently removing the threat to physically assault his peers. The petition was promoted by Stanford’s chapters of Students for Justice in Palestine and the International Socialist Organization.